Once in awhile I see a post from a gardener on social media where they share how they’ve “finished” planting their vegetable garden. This is often in late May or early June. I find it interesting that many gardeners think you plant your whole garden within the span of a week or two and that’s it for the season. In my garden, I start planting in March and continue right up until September. This means I’ll get more food from my garden in a very steady supply throughout the season. The only time I’m “finished” is when I temporarily run out of room, or it gets too late into the season to plant. One of the techniques I use is succession planting. Succession planting means using timing and spacing to maximize the amount of food coming out of your garden during the season. There are several different methods, but we’re going to cover the two easiest in this post. Beets coming up in my mid-July garden. June is the transition from spring to summer in many areas, which means some of your spring crops like lettuce, peas, bok choy, and radish will either be bolting and being removed or getting harvested entirely from the garden bed. It’s not so bad to see a vegetable at the end of its life cycle because when you end up with some new space in the garden you can plant something else in the same space! In the last few weeks, I pulled the arugula and salad mix out of my garden because they both went to seed. That opened up two spaces that were calling to be filled. Within a few days, I planted several rows of beets in the areas I had cleared out. This is the second time I’ve planted beets this season, and it won’t be the last. I usually plant a large amount in mid-July in the area where my onions were growing. This gives me plenty of beets for fall and early winter harvests. It’s still early in the season, so there are plenty of seeds you can sow in the garden. I’m already thinking about what to plant in place of my peas and spinach. 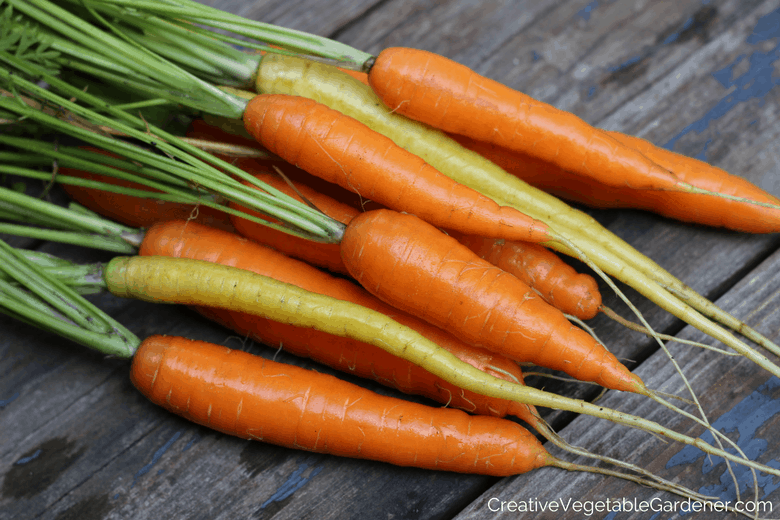 Throughout early summer in northern climates you can plant succession of beans, beets, carrots, cilantro, cucumbers, dill, green onions, and summer squash by seed. I like beets, but I don’t want to end up with a huge harvest all at once. Instead of planting a whole bed of seed in early spring, I usually plant just one row of beets in April and then come back and plant another row in May. If I have room, I might keep doing this every few weeks into mid-summer. Each of those plantings will mature in about 60 days, which will provide me with a staggered harvest of beets. Unless you like to can or preserve, you probably don’t want a huge amount of one item all at one time. I’d rather have more of a steady trickle of vegetables so it’s easier to incorporate them into daily meals. Again, look at the list of vegetables above and pick a few things that you might want more of this season but would prefer harvesting at a slower pace. Plant a row this week, another one in two weeks, and then a third in a month. If you have any empty spaces in the garden right now, fill them with seeds or plants. When you clear out a spring crop, plant that space with a succession of something else. If you have a lot of space at some point this season, don’t fill it up with one crop all at once. Consider staggering your plantings – every 2 weeks plant a new row of the same vegetable. Do you have other tips for succession planting and getting more out of your garden? Share them in the comments! What Happens When a Plant Bolts? How Do You Know If You Have Healthy Soil? Like this! Easy to understand! Now I just have to figure out what I need to plant in hot dry west Texas. My chard is starting to bolt. Pirates are ready. Hi Michelle- West Texas is very different than Madison, WI, so I’d check some local sources for more information about summer succession planting. We don’t get nearly the hot weather in summer that you do. In fact, we never use the A/C at our house! It’s never that hot. Thanks for the info. I’m in PA and the weather has been so wet. For the past few years we’ve had most of our garden in by now. I tried doing a second crop of broccoli but it never produced. The plant did well it was still alive in nov last year. When would I start the seeds for a second crop? Great question, Renee. I’ll be starting my fall broccoli and cabbage seedlings inside this weekend. They need to go out into the garden in mid-July. You’re a similar zone to me, so you could probably follow the same timeline. The trick with fall planting is to give them enough time to mature. Plant growth slows down as we lose light. Good luck and keep me posted!